Seán Crowe said money paid to the legal profession by the board that compensated survivors of residential abuse was one of the worst examples of a “flawed system”. SINN FÉIN TD Seán Crowe has welcomed a proposed 25 per cent cut in the fees barristers charge for government work, as well as the proposal to introduce a more transparent pricing system that could reduce legal fees to the State. Describing the changes as “long overdue”, Crowe said that plans by the State Claims Agency which would set maximum fee limits for specific elements of work performed by barristers must be implemented without delay. The State Claims Agency, which deals with personal injury and property damage claims against 54 state bodies aims to have in place a scheme which would reduce the pay of barristers by mid-November. This plan follows a similar initiative two years ago which the agency claims will cut fees by between 20 and 25 per cent. “The massively excessive fees paid to barristers and solicitors over the past decade and beyond should have been capped by the previous governments,” Crowe said. In 2010, €157 million had been paid in legal fees to barristers and solicitors who worked on behalf of the victims of institutional abuse which was more than 15 per cent of all the money paid out as part of the Redress Scheme for thousands of people who suffered horrific sexual and physical abuse in industrial schools and other institutions. The Sinn Féin TD said the money spent processing claims should have gone directly to victims and their families. “I hope these changes signal a new approach and will ensure that the excessive amounts of money paid to barristers in the past from the state purse will never again be repeated,” he added. Email “TD welcomes barrister fees cut”. 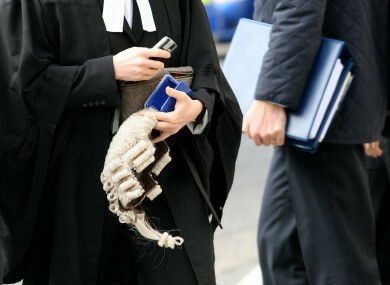 Feedback on “TD welcomes barrister fees cut”.